BetEasy.com.au has been born again from the Ashes of William Hill and Crownbet. You just must be a member. BetEasy which was formerly known as Crownbet, formerly known as BetEasy, formerly known as BetEzy is one of Australia’s biggest and best betting sites, with a veritable smorgasbord of greyhound racing markets to choose from every day. 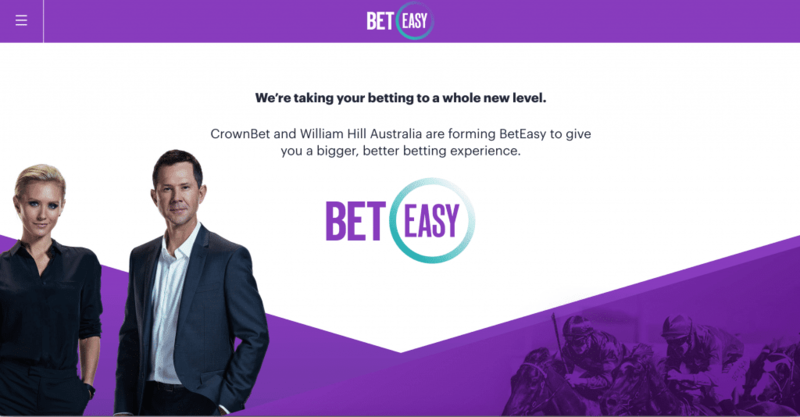 Crownbet CEO Matthew Tripp – the brains behind Sportsbet’s rapid rise – took over the old BetEzy brand in 2014 before re-branding it as BetEasy, with the site quickly establishing itself as one of the most upwardly mobile bookmakers in Australia. In December 2014, billionaire James Packer, who owns gaming empire Crown Ltd., incorporated 67% of BetEasy before it was announced in March 2015 that the 100% Australian-owned bookmaker would be re-named and re-branded once more, morphing into Crownbet. In 2018 Packer exited the Crownbet bookmaking brand selling to Canadian owned The Stars Group who own online poker site PokerStars. The new ownership group then bought out the other Australian bookmaking brands William Hill, Centrebet and Sportingbet; and merged all in to the one brand BetEasy in August 2018. Let’s have a look at all the user-friendly features, mobile betting options and special extras that make BetEasy one of the nation’s top online bookies for dog racing. When you sign up and make a deposit of up to $500 at BetEasy, you can pocket a bonus bet of up to $500 to place on a greyhound event of your choice. This is incredible value for your money, giving you $1000 to start betting with for just half the cost. ^New Customers only. Turnover requirements apply. Excl NSW, WA, SA & VIC. Gamble responsibly. Whereas most of its competitors have been bought out and/or shut down by overseas bookie firms in recent years, BetEasy is still partly owned and majority operated by Australians, for Australians. CEO Matthew Tripp – the brains behind Sportsbet’s rapid rise – took over the old BetEzy brand in 2014, and has overseen the growth, merging and morphing through the different brands to become the online bookmaking brand that BetEasy today. Despite all the changes in shareholder ownership BetEasy remains Australian licensed in the Northern Territory and the executive management group remains headed by Matt Tripp with many of the the same management faces working with him when he owned Sportsbet and then Crownbet. With most of its competitors have been bought out and/or shut down by overseas bookie firms in recent years, BetEasy is about as Australian as you will find left in the Australian online betting landscape, certainly from the biggest brands. BetEasy adheres to all state and federal gambling legislation in Australia, which has implemented some of the world’s strictest laws and guidelines for online betting operators. The company is fully licensed and regulated by the Northern Territory Racing Commission. BetEasy is all about making online greyhound gambling as simple as possible for Aussie punters, and its desktop betting set-up certainly does that. The first thing you will notice is how clean and crisp the home-page layout looks – all straight lines and sharp visual themes, with a minimum of fuss. It is also refreshingly clear of spammy advertising and loud promo displays, which leaves more room for the most important stuff. Finding your way around is a piece of cake, thanks to two easy-to-use navigation bars: a simple horizontal one across the top of the page, and a more detailed sidebar on the left of screen. The greyhound betting section is well designed, with a simple grid showing all the day’s meetings. There is also a live countdown clock and a detailed form guide for each dog race. Placing greyhound bets couldn’t be easier. Once you find the race you want, just select your bet type and then click on the odds for the dog(s) you wish to select. The wager will then appear on the virtual bet slip towards the top right of the screen. Set your stake, hit “Place Bets”, and you’re done. Easy by name, easy by nature. 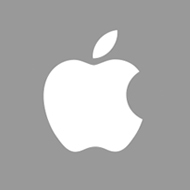 BetEasy iOS app for iPhone, iPad and iPod Touch. 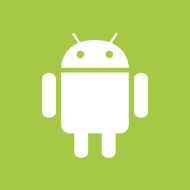 BetEasy Android app for Samsung, Sony, HTC, LG, Motorola and more. Both of these mobile gambling applications are free to install and use an identical look and layout to deliver first-class remote betting via smartphone and tablet products. You get the same great range of real-money betting markets as the standard desktop site, but in a convenient touch-and-swipe package which allows you to place bets when you are on the move or can’t get to your computer. You can even make deposits and withdrawals through the betting app. 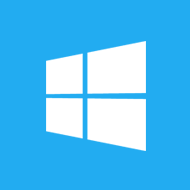 If you use a Windows Phone, BlackBerry, or any other alternative mobile system, you can create a Web app by adding the page to your home screen, which will allow you to access the BetEasy mobile site without having to type the URL into your device’s Internet browser. There are loads of different betting options for dog racing at BetEasy, from standard single wagers to multi-faceted exotic bets offering huge potential rewards. For most greyhound races Midi Div prices, which take the second-best payout from the three TAB totes, are available. Fixed odds prices are available five to 10 minutes before the jump in most races. These are your most basic greyhound wagers, where you can bet on a dog to finish first (win), to finish in the top three (place), or simultaneously cover the place and the win (each-way). Greyhound exotics include quinellas, in which you try to pick the first two finishers in any order, while an exacta (top two), trifecta (top three), or first four bet (top four) requires you to name the top runners in the precise finishing order. With this kind of racing bet, you must select the winners from specific races chosen for the meeting. A double bet covers two races, while a quaddie consists of four races. To win the wager, you must pick the winner in each race – e.g. three legs out of four won’t get you anything in a quaddie bet, as we can attest. Choose the bet type, adjust the stake and let BetEasy do the rest. Mystery picks range from a single win/place wager up to a boxed first four covering 24 possible winning combinations. Visa, MasterCard and POLi deposits will reach your account instantly, while bank transfers and BPay transactions can take up to 48 hours to go through. The easiest way to make cash withdrawals is via electronic funds transfer (EFT) direct to your personal bank account, and telegraphic transfers are also available for overseas transactions. As well as greyhound racing, BetEasy offer thoroughbred and harness racing, soccer, tennis, cricket, basketball, baseball, AFL, NRL, esports, boxing, UFC, MMA and many more. BetEasy is one of Australia’s biggest and best betting sites, with a veritable smorgasbord of greyhound racing markets to choose from every day. It is 100 per cent Australian-owned, unlike most of its rival bookmakers, and boasts one of the most attractive and straightforward desktop gambling layouts on the Web. Let’s have a look at all the user-friendly features, mobile betting options and special extras that make BetEasy one of the nation’s top online bookies for dog racing. The customer is always king at BetEasy, which is why the company goes to great lengths to ensure all your funds and personal details are as safe as can be. Everyone who gambles with real cash online at BetEasy is required to prove their identity, but this process is hassle-free thanks to VEDA Advantage – a digital ID verification system which kicks in automatically when you add cash to your account. Combined with a tried-and-true Secure Socket Layer (SSL) digital encryption, this set-up keeps would-be fraudsters and money launderers out of the system altogether and makes for the safest Internet gambling environment possible. If you have any greyhound betting inquiries, you can get in touch with the BetEasy support team 24 hours a day via live chat, email, or the toll-free Australian racing hotline (1800 321 321). For general inquiries, personal assistance and overseas support, use the alternative telephone numbers below. When you sign up and make a deposit at BetEasy Australia, you can pocket a bonus greyhound or other bet up to $500. This is a 100 per cent match bonus – so whatever amount you add to your BetEasy account on the first deposit, the house will match it with a bonus wager up to a maximum of $500. You can use this as a single stake, or you can split it into several bonus bets. This promotion is available only in Queensland, Tasmania, the Northern Territory and the ACT, as state gambling laws forbid this kind of sign-up bonus for residents of New South Wales, Victoria, South Australia and Western Australia. From time to time BetEasy offer special promotions and bonus bets. The can often only be accessed by using special promo codes or bonus offers from links. AustraliaRacingGreyhound are always across the latest and most current deposit signup offers at BetEasy and occasionally can offer exclusive free bet offers not found elsewhere. The latest and highest rated BetEasy promotions and specials are available at the BetEasy Promo Code page.